A top tax investigation official in Chennai said that more than Rs 7 crore in cash and jewellery worth over Rs 5 crore were seized during the searches. Chennai: After days of multi-city searches, Income Tax officials have detected undisclosed income of Rs 1,430 crore in respect of ten assessee groups which included those linked to jailed AIADMK leader VK Sasikala, her family members and their associates, a top official said today. 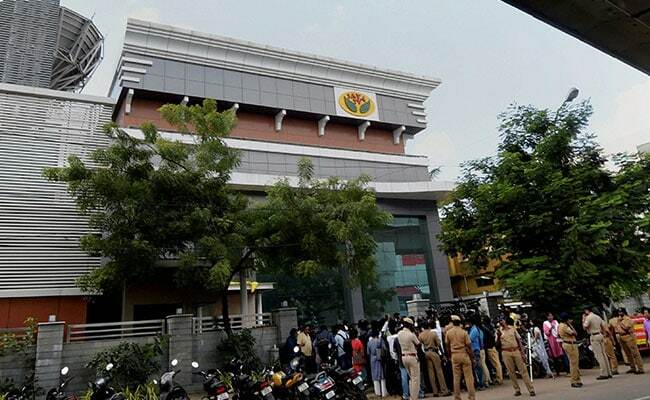 Income Tax (IT) department officials last Thursday carried out simultaneous multi-city raids on 187 premises including those linked to Sasikala and her nephew and deposed AIADMK general secretary T TTV Dhinakaran and Tamil television channel Jaya TV over suspected tax evasion. The searches at some premises continued for days. As many as 15 bank lockers and diamond jewellery were kept under "prohibitory orders" under which access to them is denied, he added. "A lot of incriminating documents were found and prima facie we have detected undisclosed income of Rs 1,430 crore," the official, who did not want to be named, told PTI. In Delhi, a senior I-T official said undisclosed income of around Rs 1,500 crore was detected during the multi-city searches that were carried out mostly in Tamil Nadu. Stating that Rs 30 crore of undisclosed income was "detected already", the Chennai-based official said a "lot more materials" are being looked into. To a question on the nature of undisclosed income, he said this relates to unexplained cash and unexplained cash introduced for acquiring several businesses. The issue of shell companies was a separate matter, he said, but did not elaborate. The official said the undisclosed income was in respect of the ten assessee groups, which includes Jaya TV and Midas Distilleries that are reportedly linked to Sasikala. About possible freezing of some bank accounts, primarily related to shell companies, he said that process is also being done. The official said once it is ascertained that the proceeds are not accounted for then the bank accounts will be looked into. Tax authorities, meanwhile, summoned Vivek Jayaraman, head of Jaya TV (Mavis Satcom Limited) for questioning following conclusion of searches in the premises of the channel. A report from Udhagamandalam or Ooty said Income Tax officials are continuing their searches for the fifth day in the Green Tea Estate in Nilgiris District. A team, consisting of three members, are reportedly verifying the documents with regard to the Kodanadu Estate and also the 670 acre Green Teas estate in Curzon, said to be purchased by late chief minister Jayalalithaa and her aide VK Sasikala some five years ago. Former Chief Minister J Jayalalithaa used to stay and look after official duties twice a year in the Kodanadu Bungalow, documents of which were allegedly in the custody of Dhinakaran or some of his relatives after her death.